Some of our users have already seen it appear in our “Channels” tab: after weeks of hard work, we are ready to announce the new integration on the Clustaar platform: Google Assistant. 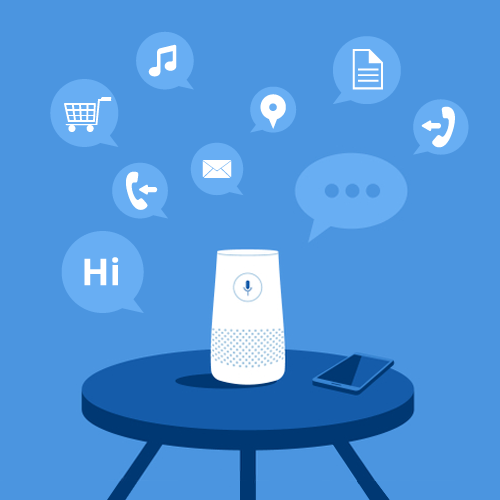 This is a crucial step for us because it means being able to create a chatbot for Google Home, and all devices compatible with Google Assistant (Android phones for example ). For many people, text chatbots are just the first step towards vocal interactions with machines. Although we believe text still has a major role to play, it is undeniable that voice-activated machines will be preponderant in the life of future generations. The success of devices like Google Home or Amazon Echo, over 30 million devices sold, is proof that the demand was already here. And as vocal machines get smarter, they will become more and more useful. After launching the platform in March, we knew we had to build a vocal integration pretty fast. So we built our first vocal integration with Google Assistant. You need to imagine your scenarios according to what your customers are going to ask, and imagine your bot’s answers like you would answer in a conversation. And don’t forget: people don’t talk the same way they write, so think about this when you write your intents. What to do with a vocal bot? You can imagine a lot of things with a vocal bot. Whether it is a simple bot, with questions and answers, or a complex one, able to retrieve information from a database, you will be able to bring information through a new channel and provide a really innovative experience to your customers. With Google Assistant, you can plug a vocal bot on any smartphone, so the possibilities are endless! Integrating with Google Assistant requires some technical level, but we have written for you a little tutorial guiding you step by step towards a successful integration.